Hi there all, sorry first of all if I am running two build logs, but this one is kind of special and I’ll give you a small rundown of the build, my neighbor who was the general mister nice guy in the area (would give you the jacket of his own back to help you out if he could), was 63 and despite this he had two young boys both 8 and 13, he saw the sort of rigs I build and asked me what the sort of cost. This was at the tail end of last year. He said he would love to get his kids one and hopefully would get enough together to do so for Christmas this year. A couple of months ago his eldest son knocked on my door saying there was something wrong with his dad and I rushed in, I gave him CPR until the ambulance crew arrived and they took him to hospital, the next day they turned life support off and he did not make it through and will be missed by all. 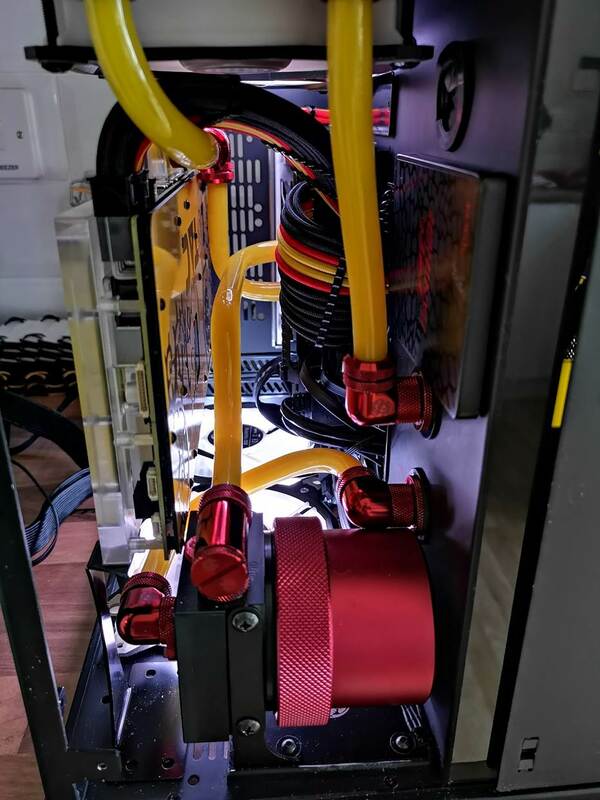 To honor him I decided to reach out current and past sponsors and see what would be possible to try to organise the rig he wanted his sons to have, so a Big massive shout out to all involved who helped support this project and help me finance it through donation of the parts. So a big thank you to the sponsors listed below, you are true saints for stepping up and helping bring a little bit of joy to two young boys that have lost their father. I only ask one thing of anyone that likes this or fancies sharing some of the images as I have seen some of my other builds floating around on social media, please keep anything away from social media as I will not be even sharing on my own pages and only adding pics to groups that I know they will not see it’s for them, or belong too.. This is a going to be a surprise for them and we are going to set it all up so they will first put eyes on it when they get home from school once it’s done. 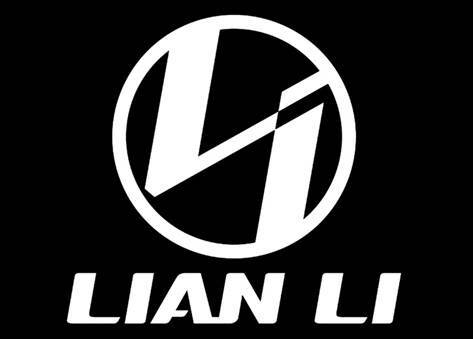 A Big thank you and an honorable bow to Lian Li for stepping up and providing the Case and PSU for this. 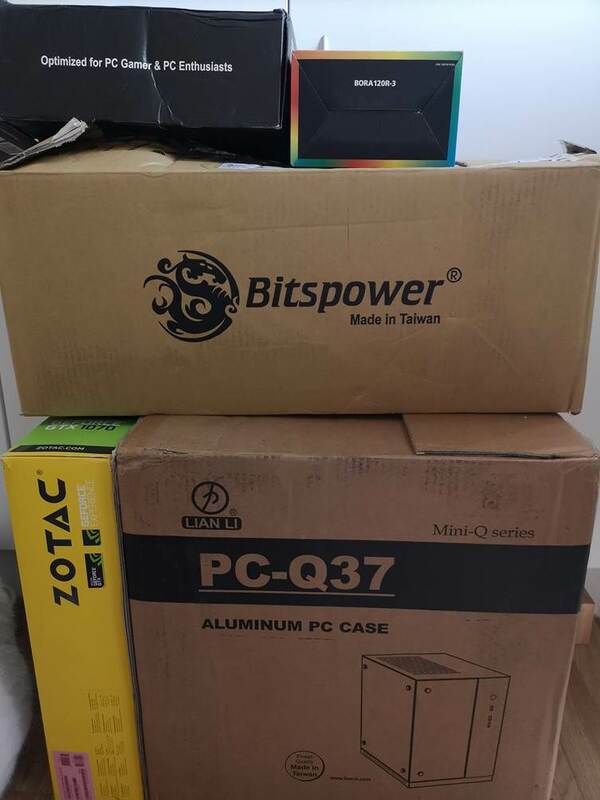 A big thank you to Gigabyte and an Honorable bow for not only supplying the motherboard, but also supplying the keyboard, mouse and headset too. 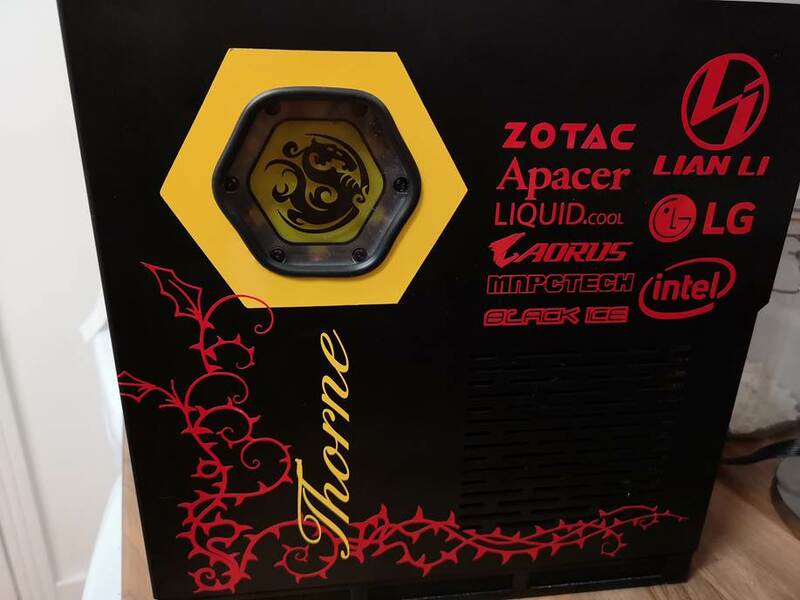 A big thank you to Apacer and an honorable bow for supplying the memory, ssd’s and M2 drive for the build. 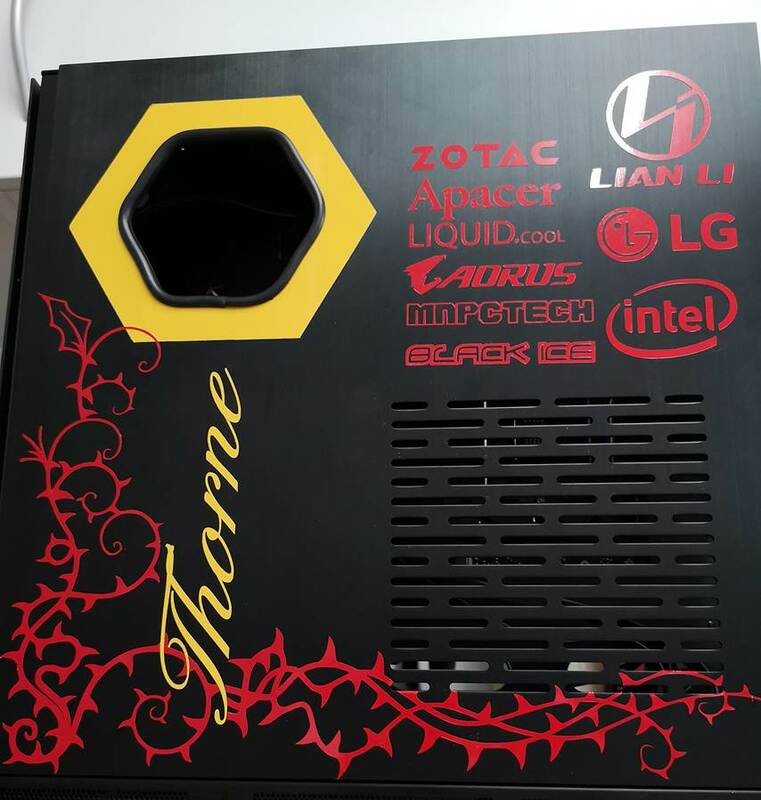 A Big thank you to Zotac and an honorable bow for supplying the GPU for the build. 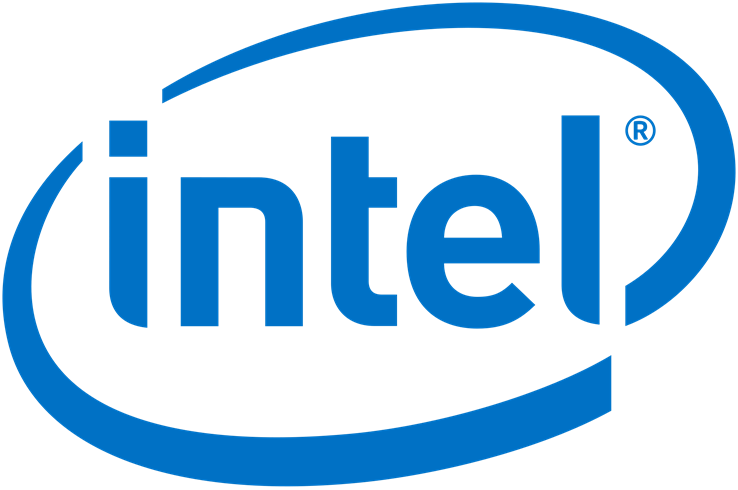 A big thank you to the guys over at Intel for supplying the CPU for the rig an honorable bow of course for you guys too. 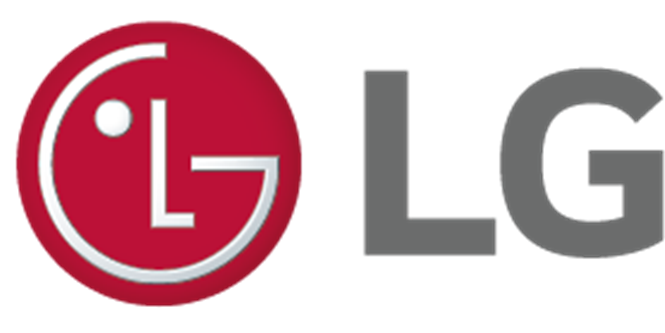 A big thank you to LG and an honourable bow for offering the support of supplying a monitor. 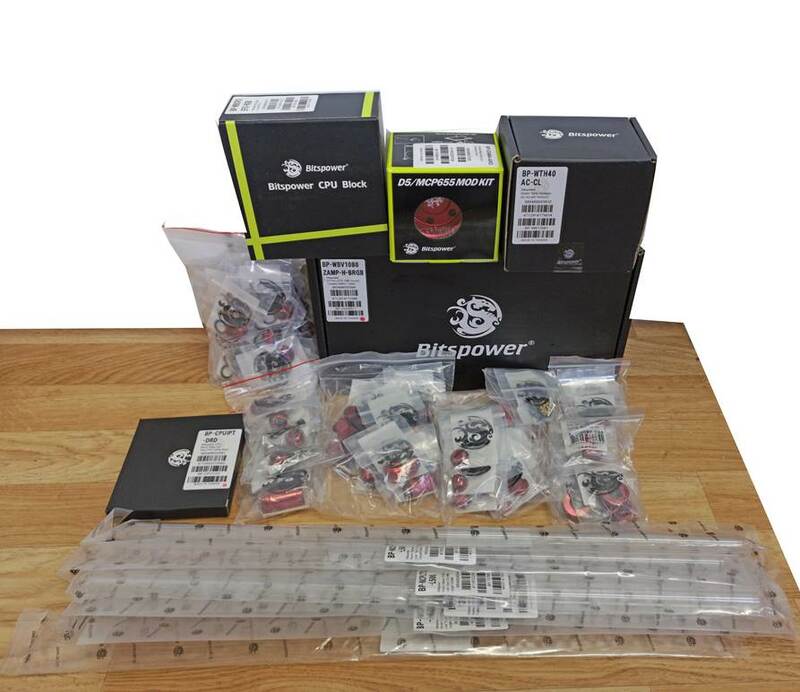 A big thank you to Bitspower and an honorable bow for sorting out the WC components. A Big thank you goes out to master yoda over at MNPCTECH a big thank you and honorable bow for you sir. 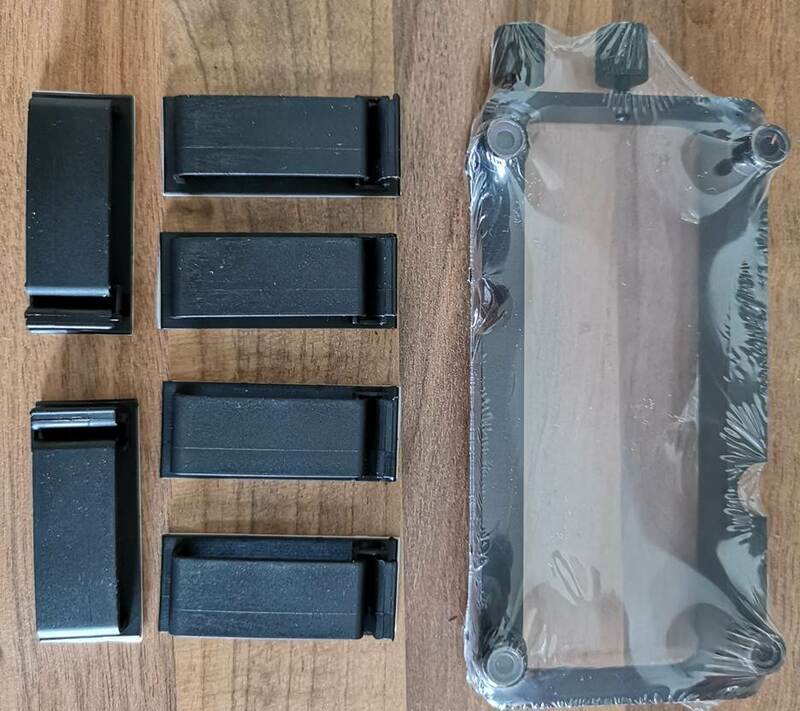 A big thank you and another honorable bow goes to the Black Ice Disti here in the UK thank you for supplying the radiator. 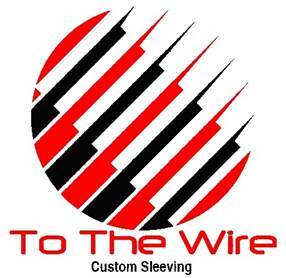 A Big thank you and an bow also goes out to Michael over at To The Wire for supplying the cables for this project. A big thank you to Dremel for always being around for support on projects, be it bits or perishables that we go through on builds. 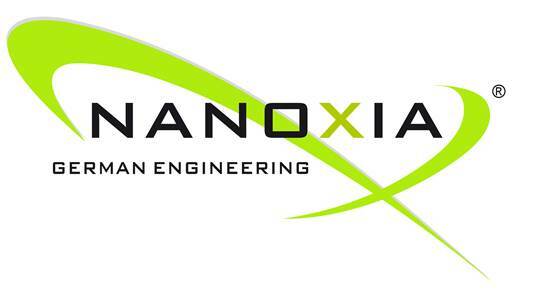 Thank you to Liquid.cool for supplying the fluid a bow to you guys too. 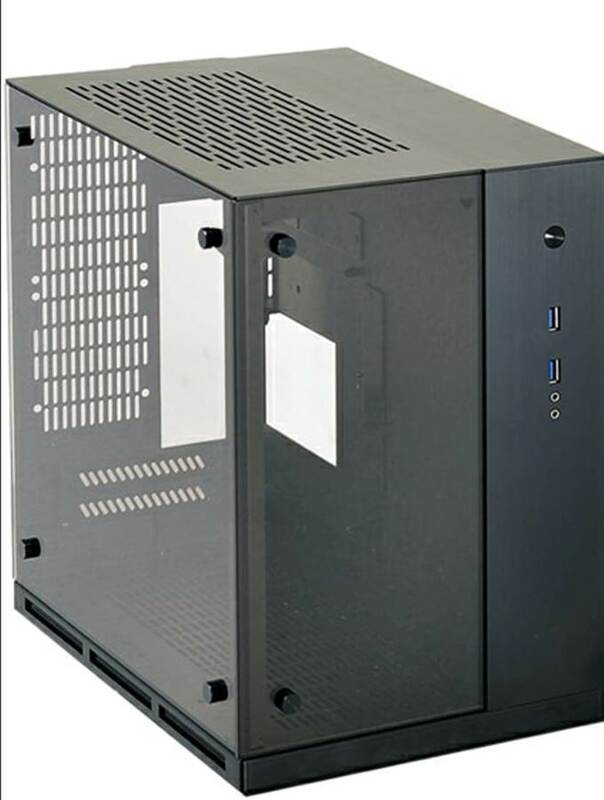 So let us start off with the first parts of this build, the case, psu and the gpu. I will gather from this photo alone you will see that I have gone down the mini ITX route as I know their mum won’t want too much space taken up. 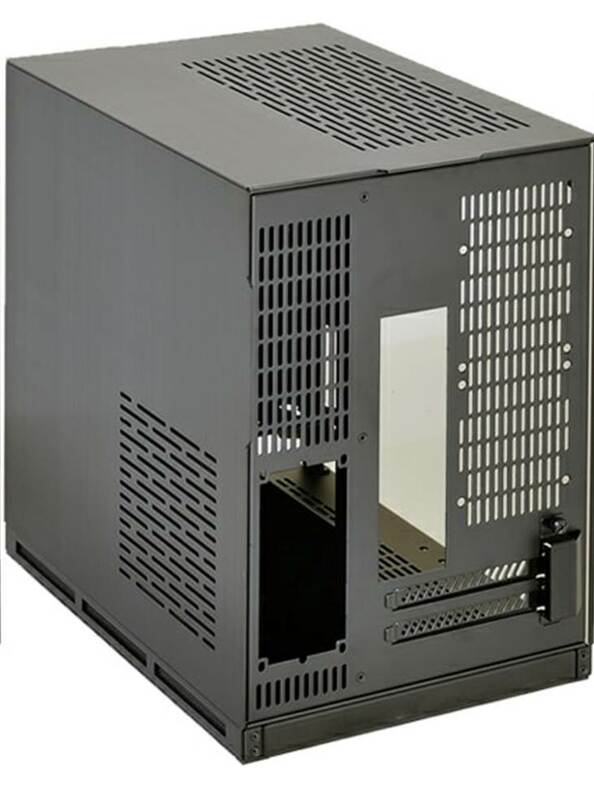 This case is Perfect for the build as it fits the small footprint in mind but also supports watercooling, although not the sort of stuff I want to put into the build lol, but hey I don’t see making it all fit being a big issue. 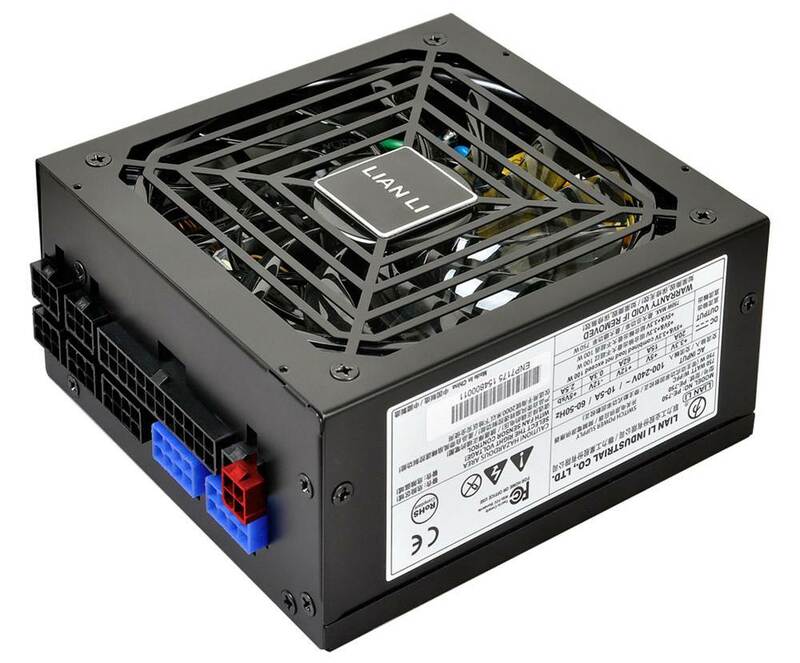 Also from Lian Li is the neat little PE – 750 SFX psu, this is quite a step up from the normal 600W SFX PSU’s I am used to seeing. 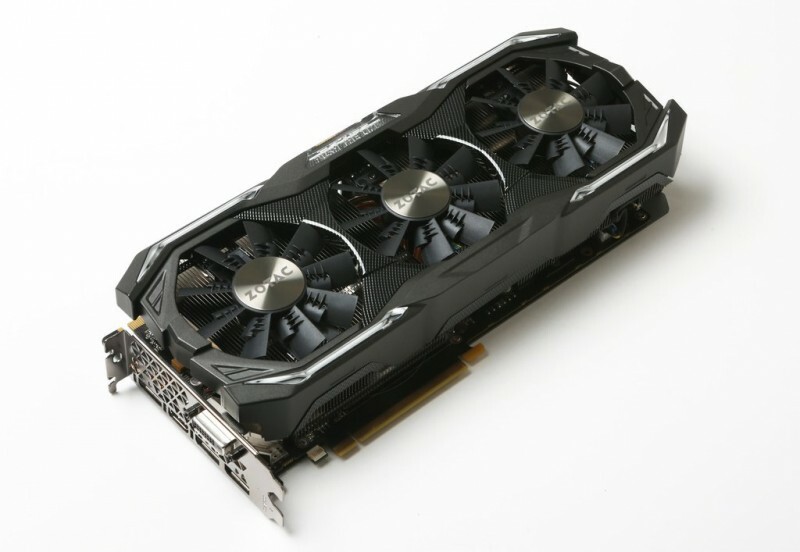 Still enough of a omphh to support the GPU. 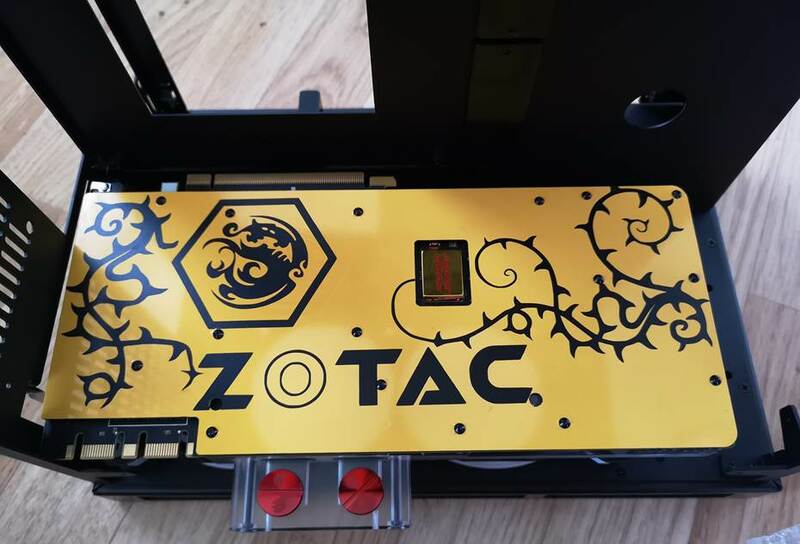 Next onto the GPU, if anyone is not familiar with Zotac amp series here is what it looks like stock. 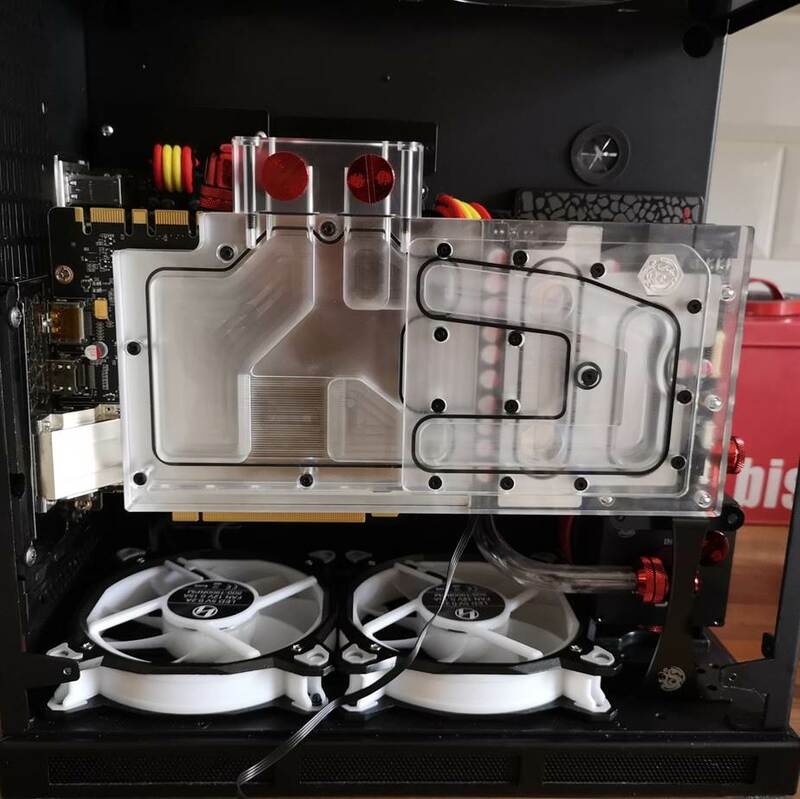 I will post some more tomorrow of the other parts that have turned up, then get onto the actual modding of the case, despite most of it being internal to support the hardware (d5 pump anyone squashed in there lol). 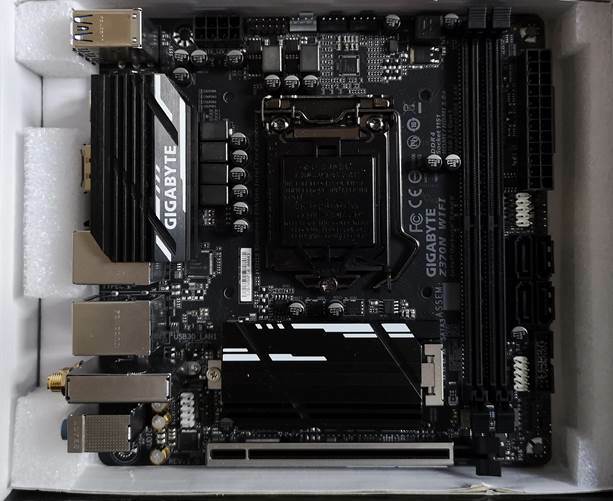 The motherboard for the project is actually quite shocking seeing as it’s not a gamer, or overclocker branded, not only did it come with two m2 slots, one rear and the one on the front. 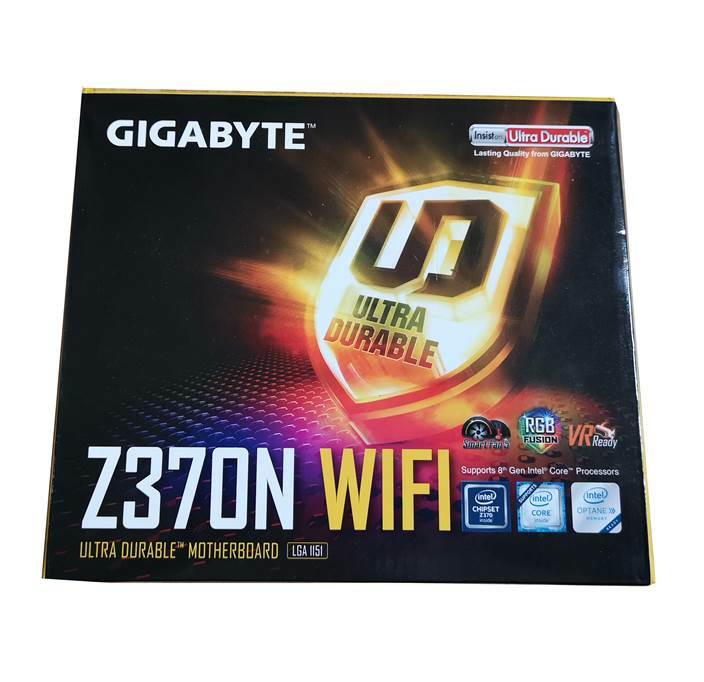 The front one is actually supplied with a heatsink, it also has Gigabyte’s RGB fusion, which supports not only rgbw strips and normal rgb strips (both of which support pin rearrangement) there is also a digital RGB strip header on board, this I found surprising especially at price point. 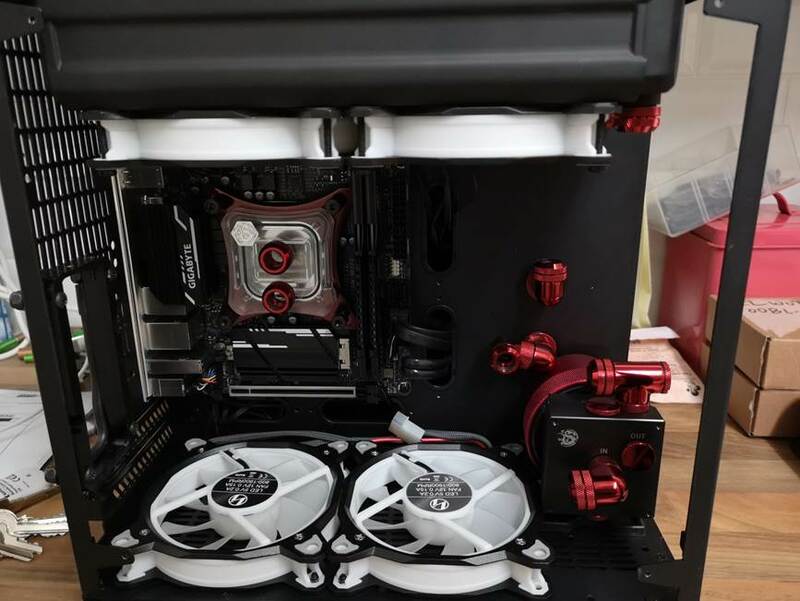 Next up we have the bitspower package which comprises, hardline fittings, Zotac AMP gpu block, CPU block with rad bracket, a hex tank (res), a mod kit for d5 pumps in red, and all the red fittings I will need for front open side of case. I will use some gold fittings in the rear that wont be seen, but I will show you guys a picture of this later on. 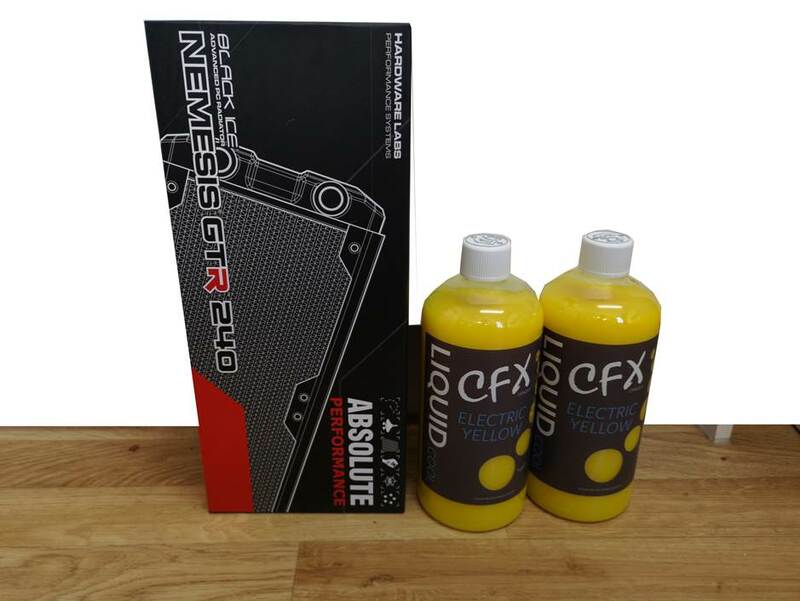 Black ice Nemesis GTR 240 radiator and yellow fluid, yes yellow and red, an unusual combination but these were Johns (the kids dads fav colours so only right I used red and yellow in the build. 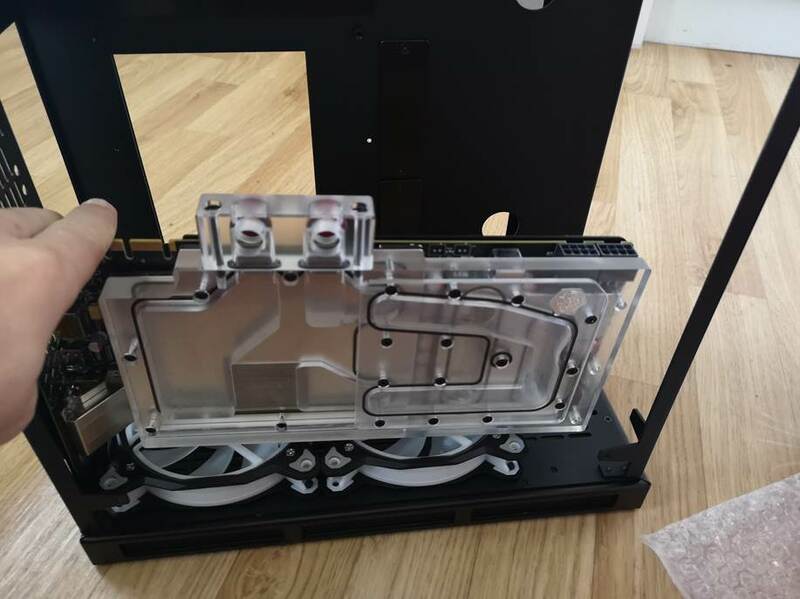 Mnpctech.com have various designs of these brackets and even do one that would not require any case cutting at all really as they mount to fan location. 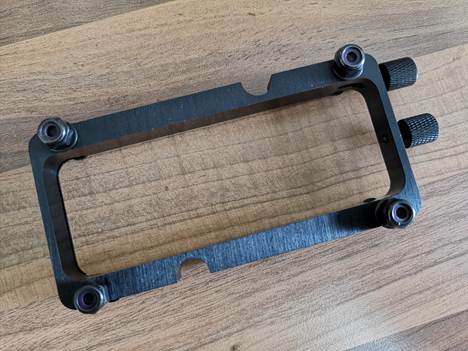 I won’t rattle on about the quality of the finished product on the vert GPU mount really as most people know anything coming from mnpctech.com is always of a high quality, but without this little baby this build would be not possible and would you like to see why. 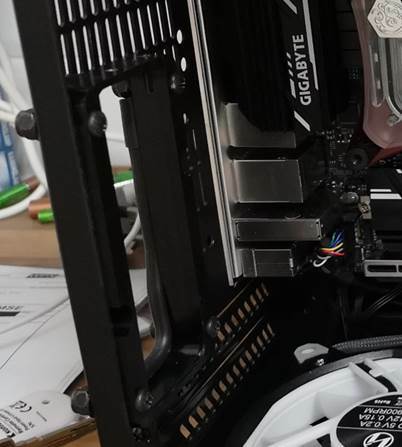 With the card in the normal location (due to it being the Zotac amp and huge width) there would be no way to put the window on, let alone the power cables either, so the Vert GPU bracket is a 100% needed. So this will be rough location of this gpu with block. 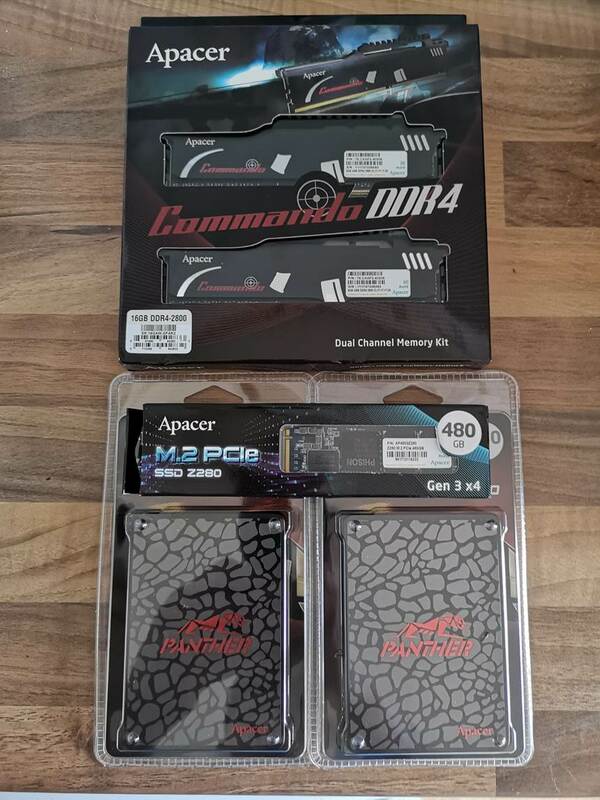 Apacer supplied two panther SSD’s, a m2 PCIe SSD and a 16gb dual channel kit for the build, all with some type of red added to them apart from the m2 of course. First up I had to take the measurements I needed from the planned drained port were I would locate the hex tank (res) and mark up some points for the fill and exhaust ports, no anyone that knows this case knows the top panel is removable to an extent so that was not an option for this, so above the HDD rack was really the only viable option. 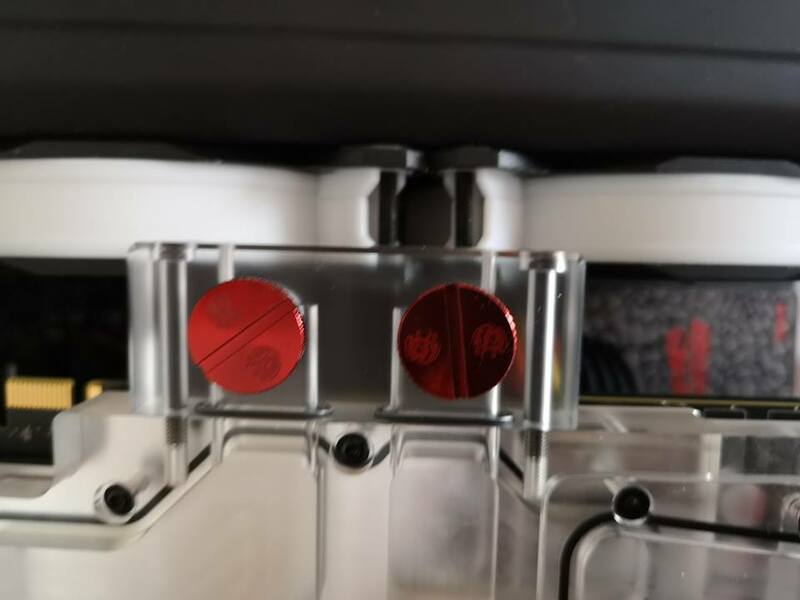 Left are the lines for the fill and exhaust port and right is in the bottom of the case for the drain port. This is how it came out, the fill port on the right and exhaust on the left, know that was done it was time to measure up the side panel for placement of the hex tank so I could cut a window so it was viewable. The Plan here is to make sure I get the hole just slightly smaller than the tank to hide the other fittings I will be using in order to keep the yellow and red theme going as I decided to use some left over gold ones from last project around the rear, I was also going to vinyl this panel rather than engrave to keep the yellow and red theme going, and also put all the nice sponsors logo here too. So rear panel is done and just needs wiping down and cleaning, have mock up window rubber in place, which I always advise anyone to do before going down this route as just doing a mock up first gives you the exact length needed and also will show you were you may need to file down a bit on your cut. So with all that in place I moved onto mocking up some things and get ready for a complete mess to be seen cable wise. 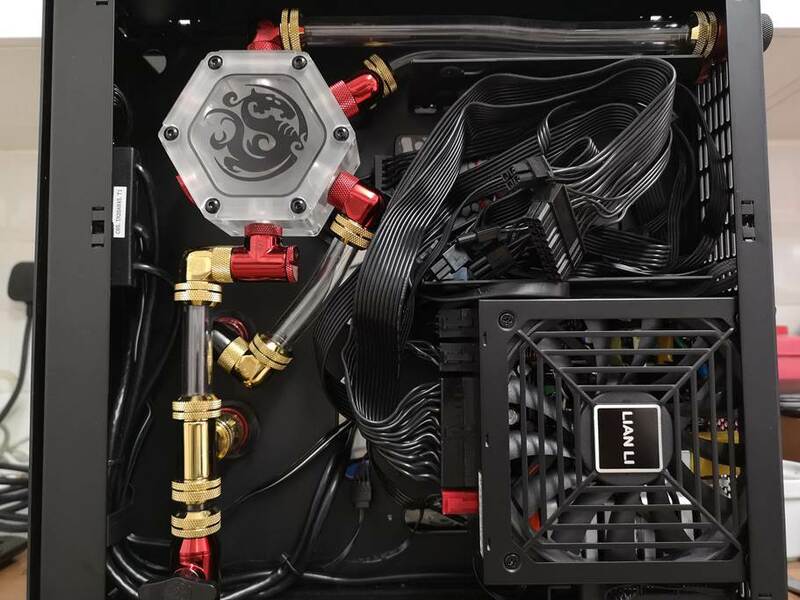 How about that for not sugar coating anything during a mock up, tubing and tank in place thought with all fittings, and god I want to cray at all them cables these are the exact about need for everything in the PC and I am going to have to tidy that up somehow lol. 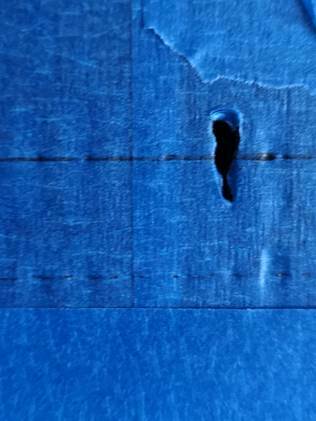 Anyway back on track I need to get the back panel on to see if it lines up properly. TBH, this was quite a scary moment in the build as I was worried it would not line up, but thankfully it did, next time, I will show you what is happening round the front side of the rig. 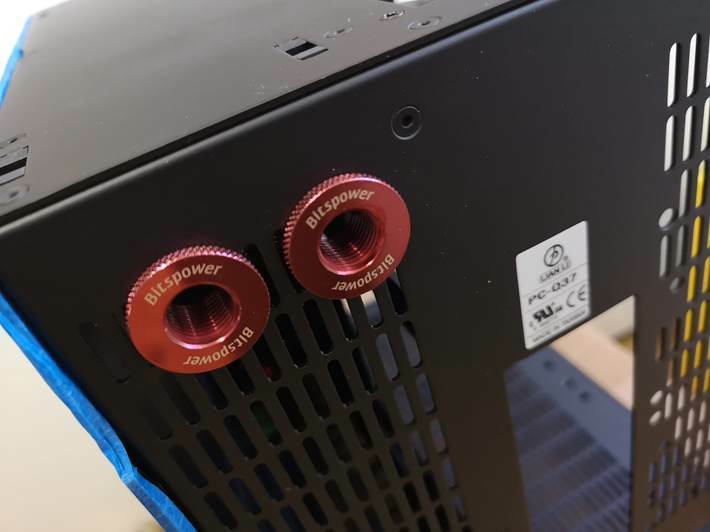 Placing everything in the front of the rig, it was becoming very apparent that this was not going to be a very easy task, choosing a d5 for a SFX build was always going to be difficult but it is something I wanted to do for the quietness compared to a ddc. 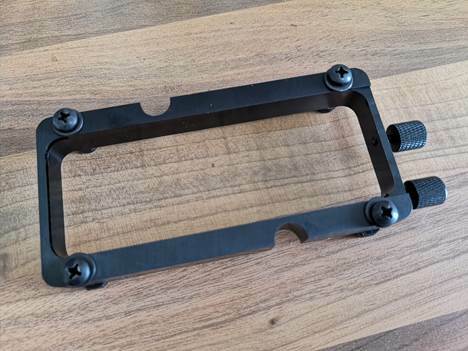 I would love to say thanks again to MNPCTECH for this as without it I don’t think even fabricating a vert mount would of worked just because of the grill nature of this area at the rear it really helped out a lot. 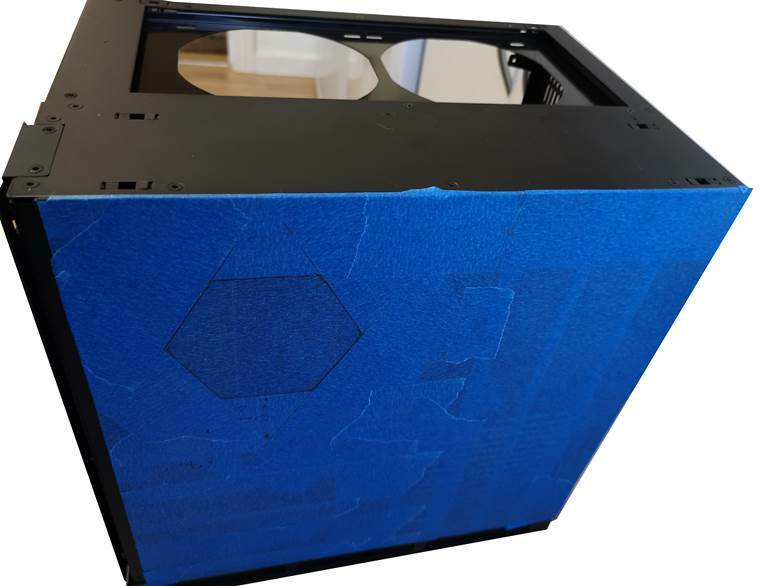 So what’s this pic, well really its blurry for a start, but its just a quick one to show you guys that even us modders can make mistakes from time to time as I seem to have got my rad measurements out by a few mm, the card simply will not fit, with the thicker rad in place. yes this is the part were I say my hands are fat and got cut and scratched to shreds putting the pipework in. 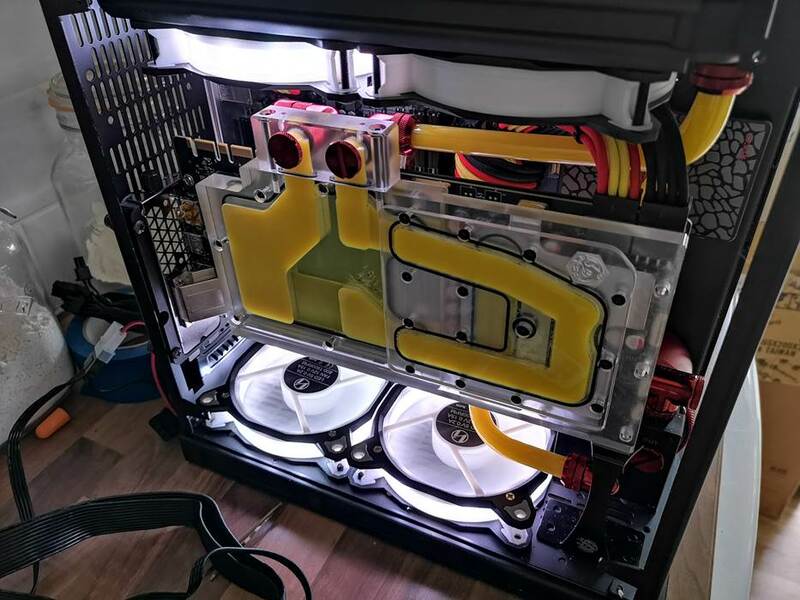 Urmmm ok I forgot to connect up a fan lol and god sake man, look at all the dust. 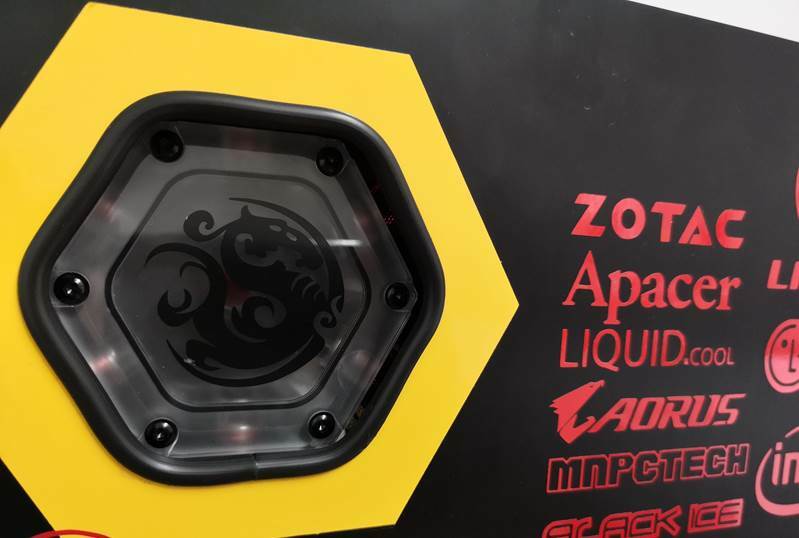 Ok that’s better, just need to make some other checks on res placement and look with yellow fluid. 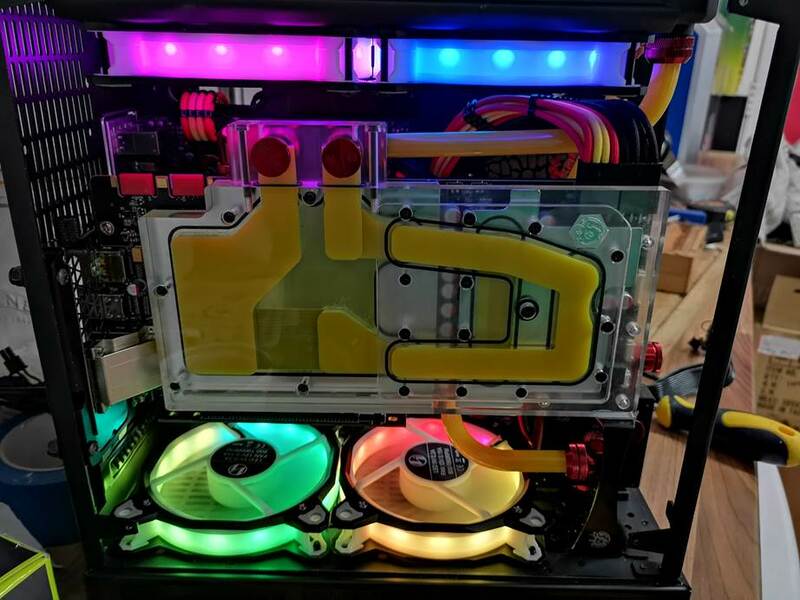 And the res in place with window and logo on show, will have to do a few more things to get it finished, but now I have to drain it, clean it all out and start prepping for final assembly and cleaning the rig before final assembly. 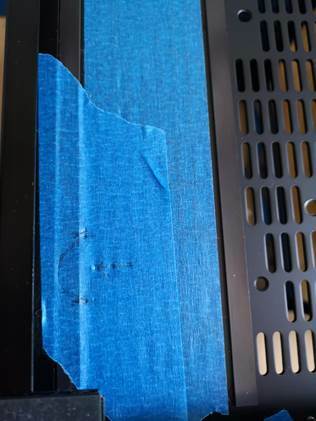 things on lost to do, follow the thorns around front of case, add a rgb strip that will run from mobo into the rear of the case to try to add some light in there, I wont be adding a strip to the front area though as the fans and the RGB gpu block and cpu block should be enough.